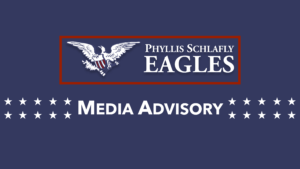 St. Louis, MO: Idaho Phyllis Schlafly Eagles state leader Tammy Nichols has been resoundingly elected to serve Idaho State House district 11B tonight by the voters. “Tammy Nichols was always a dear leader that Phyllis Schlafly respected and admired,” said Ed Martin, president of Phyllis Schlafly Eagles. “She is an authentic conservative who understands the core values of conservatism. She is also a fierce warrior who will speak out and defend American liberties.